As we get closer to wrapping up the holiday season and ringing in the New Year, let's take a look at the results from our holiday-themed 'This-OR-That' game. Last week (the week of December 17th), we asked you eight questions that had to do with Christmas and the holiday season. You had to pick the best thing between two objects and/or situations. We kept the results hidden so we could share them with you all at once. And that's why we're here - These are the results of our holiday edition of "This-OR-That." With more than 61% of the votes, the winner was a real Christmas tree. Gift Bags or Wrapping Presents? Wrapping presents won this round of "This-OR-That" with 75% of the votes. Where is the Christmas Celebration? This one was pretty close. The winner though, with just over 54% of the votes was "Christmas at my house," compared to "Christmas at a family member/friend's house." Christmas Cookies or Christmas Chocolates? Opposite of question #3, this was a runaway. Christmas cookies won with over 87% of the votes. Traditional or Themed Tree and Decorations? More people go with a traditional green or white Christmas tree with traditional decorations - That was the winner with just over 76% of the votes. Central New York Holiday Song? We should have seen this coming. We asked you to pick between Mark Werchowski's "Christmas in the Mohawk Valley" and Lou Monte's "Dominick the Donkey" for CNY's holiday song. It was split right down the middle, 50/50. So we guess BOTH of those songs will be our official holiday songs. When Does the Big Family Meal Happen? It looks like more people have a big family meal on Christmas Day compared to Christmas Eve. "A BIG Christmas Day Dinner" won with 70% of the votes. Online Shopping or Store Shopping? This was another close one, but online shopping takes the win with just over 52% of the votes. It's obvious Central New York is filled with VERY giving people. "Giving gifts" was more popular than "Receiving gifts," by a landslide - Over 90% of the votes. There you have it - The results of our holiday edition of "This-OR-That." 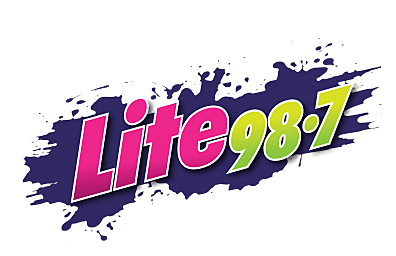 We hope you had fun playing along, and from all of us here at Lite 98.7, we hope you have a happy and safe New Year's.